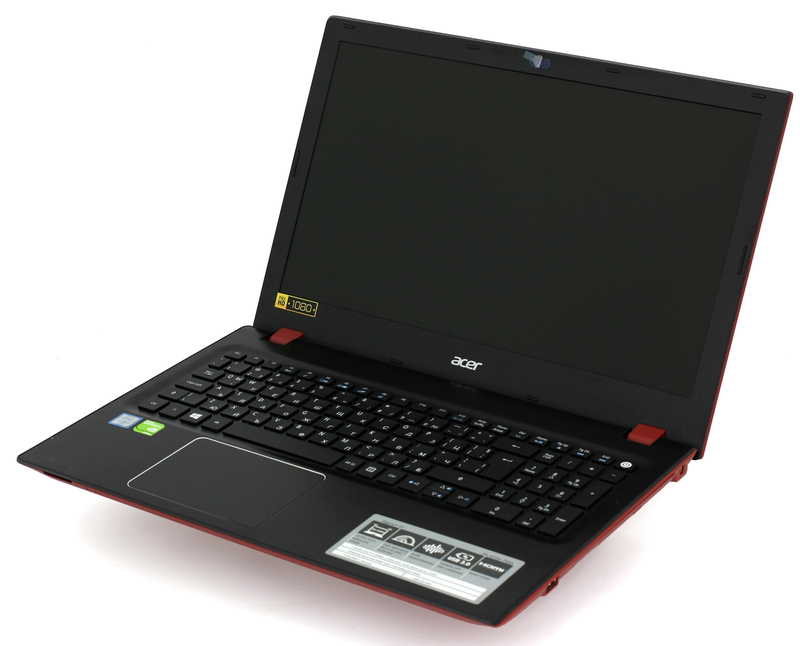 Acer has recently launched its F 15 series notebooks that aim to fill the gap between the E 15 lineup and the V15 laptops so this means relatively low price tag and the absence of IPS panel. And that’s exactly what you get, but something on the side as well. 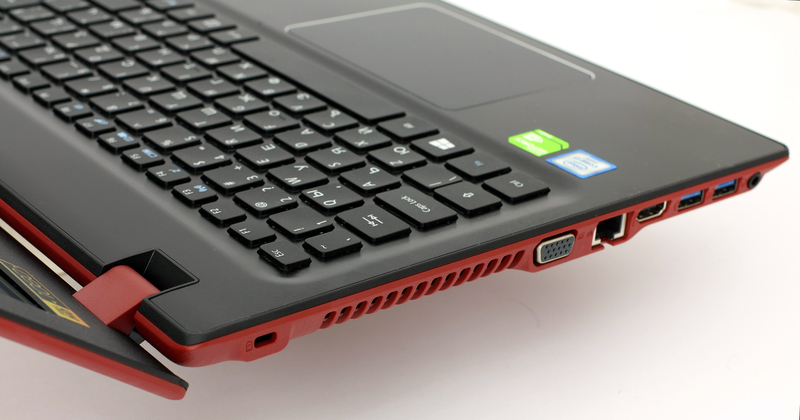 The F 15 notebooks start at around $550 for the Core i5 configurations without the discrete GPU. You can go up to Core i7-6500U and NVIDIA GeForce 940M GPU if you like and that’s the model we are going to take a look at. 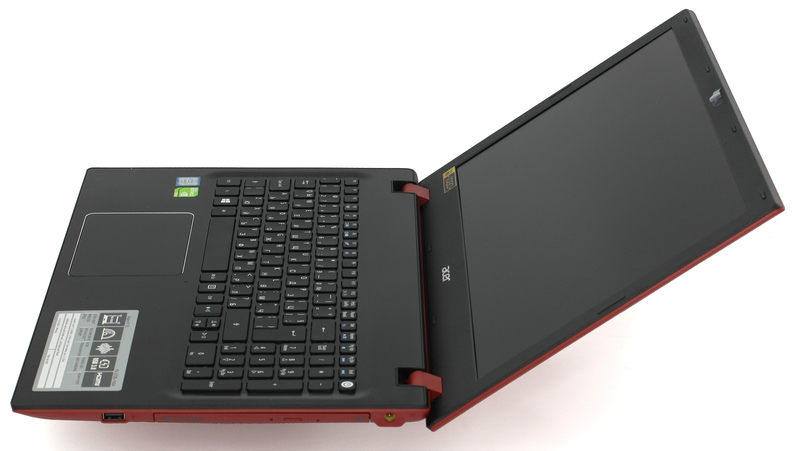 Also, the notebook offers Full HD display and extremely comfortable touchpad and keyboard. We would be really happy to see variants with IPS panels, even if their price goes up by a hundred or so bucks, but it’s definitely worth it. Oh, and the laptop is offered in black and flashy red with a cool pattern that feels like denim. It’s quite similar to the one on the E 15 series and it may or may not appeal to some. That’s a matter of personal preference, but you can’t avoid the fact that the laptop offers pretty decent hardware for the asking price. The laptop comes in a standard package that contains the AC charger, cable and a bunch of user manuals. 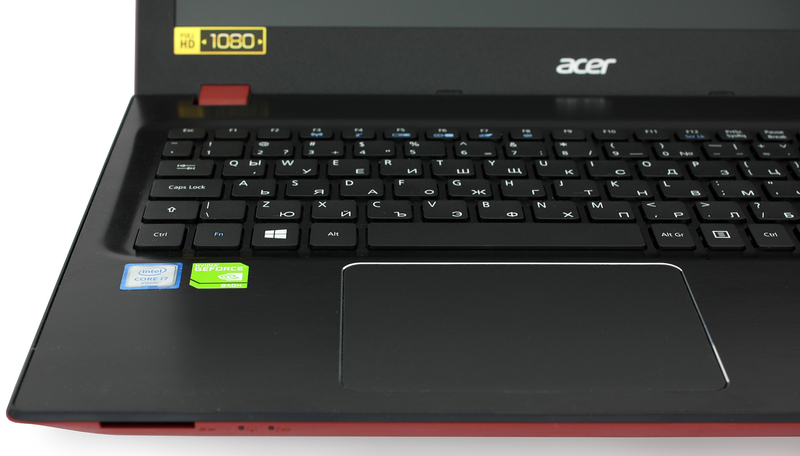 The laptop adopts plastic build around the exterior with an interesting pattern that’s somehow pretty similar to the one on the Acer Aspire E5-573 (http://laptopmedia.com/review/acer-aspire-e15-e5-573-review-with-emphasis-on-the-keyboard-touchpad-and-design/). It feels like denim to touch but we can’t get around the notion of a rough plastic, but that’s more of a personal preference. Still, though, it’s a new and refreshing approach, especially in this price range. Quite common for budget notebooks, the lid doesn’t feel that stiff and bends under pressure causing ripples on the display but if you restrain from putting heavy objects on the laptop, you don’t need to be alarmed. We are pretty happy with the hinges, though. 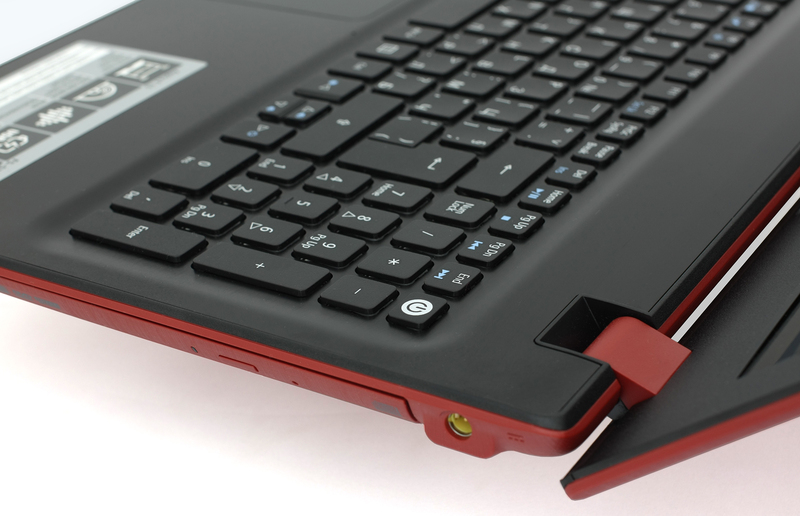 They feel pretty solid and not overly tightened – the laptop is easily opened using only one hand. Interestingly enough, the bottom surface of the notebook adopts the same material with the “denim” pattern, unlike some other notebooks on the market. This way the overall appearance looks more refined and straightforward. Anyway, it holds just a few grills providing extra airflow when needed. In terms of portability, the notebook might not be your first choice – it weighs around 2.4 kg and it’s approximately 27.94 mm thin. However, we can let that pass since it’s priced a tad lower than most of its competitors with older hardware. The sides are a bit curved and the port placement is quite good. Most of the peripherals go on the left side while the right side holds only one USB 2.0 port, the optical drive and the DC charging slot. The left side remains with the main exhaust vent, VGA, LAN, HDMI, two USB 3.0 and the 3.5 mm combo audio jack. And here’s where the laptop shines. The interior is covered in brushed aluminum finish and forms sleek chamfered edge around the touchpad, but the material also attracts a lot of fingerprints. Speaking of, it’s seriously huge. And we mean that in a good way. The big touchpad allows you to work more comfortably and it’s also pretty responsive. The same applies to the keyboard – it’s full-sized, has decent key spacing and enough key travel. Each key is slightly concaved providing good ergonomics for excellent typing experience. The only thing missing here is probably the LED backlight, but we can let it slide given the price point. It’s pretty normal to have a few remarks regarding the overall build, but in this case, they are pretty negligible. We can only add the fingerprint magnet surface around the keyboard, the hefty and a bit bulky body, and the bit bouncy lid to the cons list. Aside from that, the laptop offers not only refreshing new design but adopts flawless touchpad and keyboard that are suitable for long hours of work. 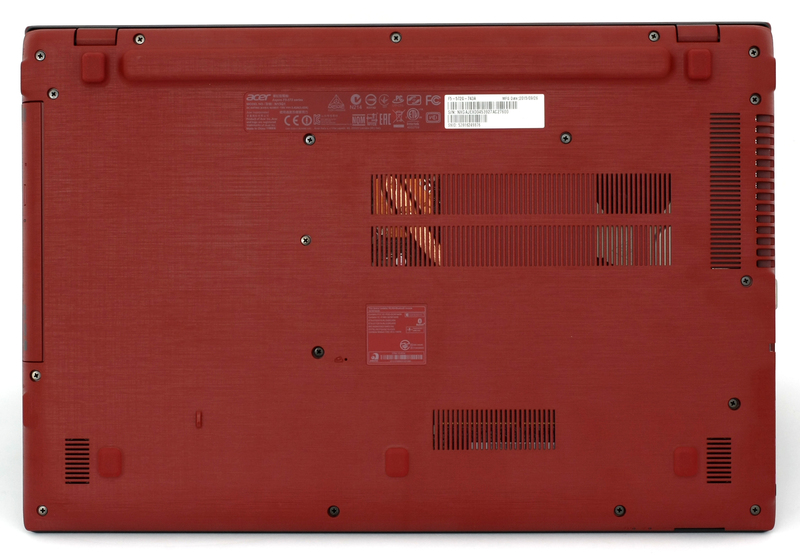 The laptop features a Full HD (1920×1080) TN panel with WLED backlight manufactured by INNOLUX with a model number N156HGE-EAB. For a 15.6-inch diagonal, the notebook offers 141 ppi and 0.18 x 0.18 mm pixel pitch so it can be considered as “Retina” when viewed from a distance equal or greater than 61 cm. Of course, viewing angles aren’t satisfying due to the use of a TN panel but that’s normal given the price point of the product. The maximum brightness we were able to record was 216 cd/m2 in the center of the screen and 205 cd/m2 was the average luminance on the surface. This means a maximum 10% deviation on the right side of the panel. The color temperature is pretty close to the optimal (6500K) with the center being 6670K and 6650K as average so the deviation is just -1.2%. The color deviation is dE2000=2.5 which is considered to be normal. 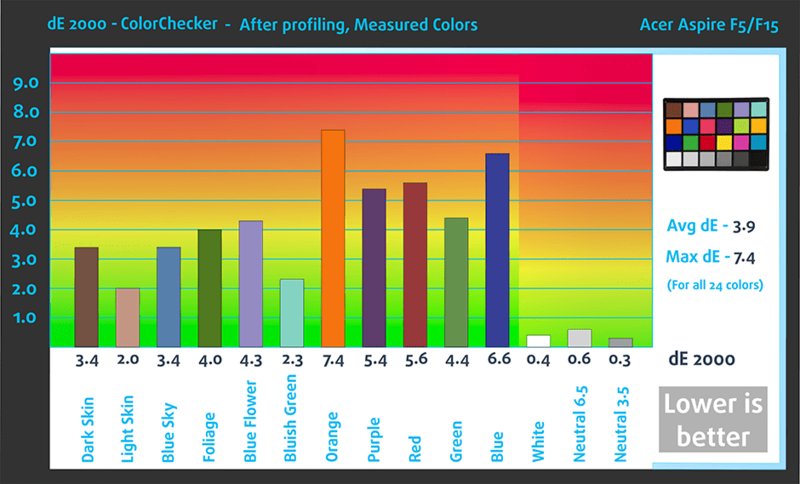 The display covers just 47% of the sRGB gamut before calibration and can go up to 54% after. This means that more than half of the colors are missing, especially the ones that fall into the red, magenta and blue specter. The contrast ratio is low – 270:1 and even lower after calibration – 180:1. Also, the gamma curve suggests of brighter images than usually. We’ve measured Fall Time + Rise Time of about 14.8 ms, which is relatively fast for a notebook and normal given the TN technology of the matrix. 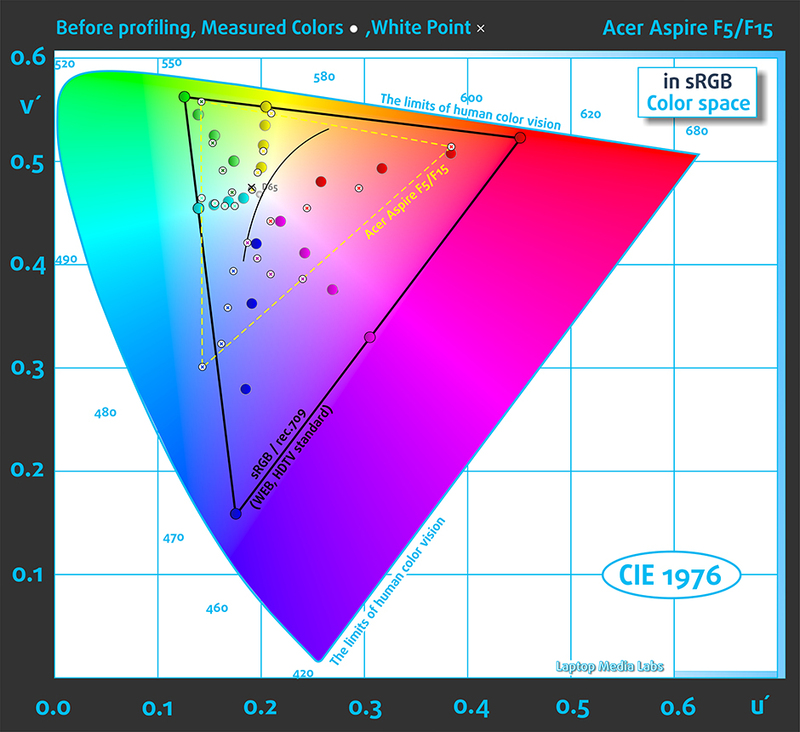 Luckily, the Acer Aspire F5-572G’s panel doesn’t use PWM for screen dimming for the most part of the brightness levels that is. Our oscilloscope recorded PWM only at 55 cd/m2 and below but even then the emitted light is pulsating at high frequency – 27 kHz. This means that the negative effect on one’s eyesight is greatly reduced (higher the frequency is, the better). And besides, you won’t get this low with the brightness unless you are in a pitch black room. Anything below 55 cd/m2 is virtually unusable. All and all, the notebook offers budget TN panel with unusually high resolution for this price range but the resolution comes with a price and that’s image quality. We weren’t expecting much to begin with but some of the readings are lower than the average for this price range. 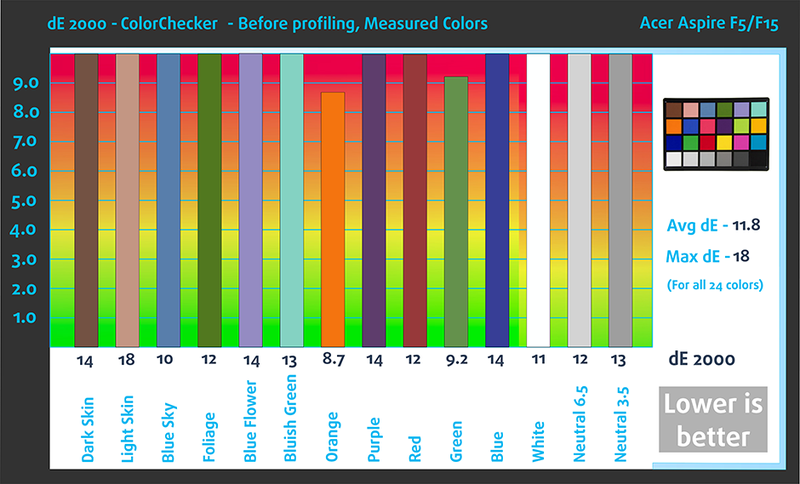 We have just 205 cd/m2 maximum brightness, just 270:1 contrast ratio and more than half of the sRGB colors are missing (47% sRGB gamut coverage). The latter is acceptable, but the exceptionally low contrast and brightness might be a deal-breaker for some. However, we cannot miss mentioning the excellent results we got from the oscilloscope, which indicated screen flickering only at really low brightness levels. So basically, the display is good enough for prolonged usage and will not be a problem even for users with sensitive eyes. We got some decent readings on the sound quality – the highs, mids and lows are full crisp and loud enough. 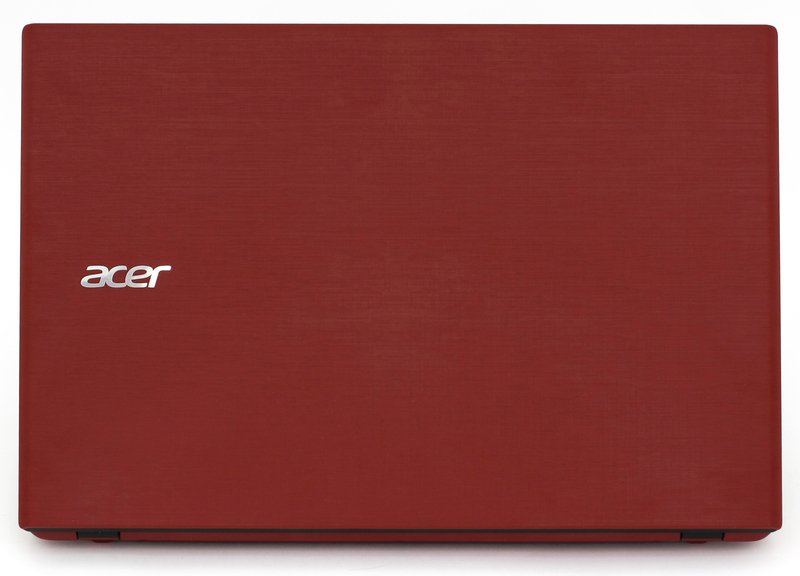 We used a freshly installed copy of Windows 10 (64-bit) and if your notebook didn’t come with pre-installed OS, you can download all the needed drivers from Acer’s official website (http://www.acer.com/ac/en/US/content/drivers). Just as anticipated, the battery isn’t big but should be good enough for a few hours of work. 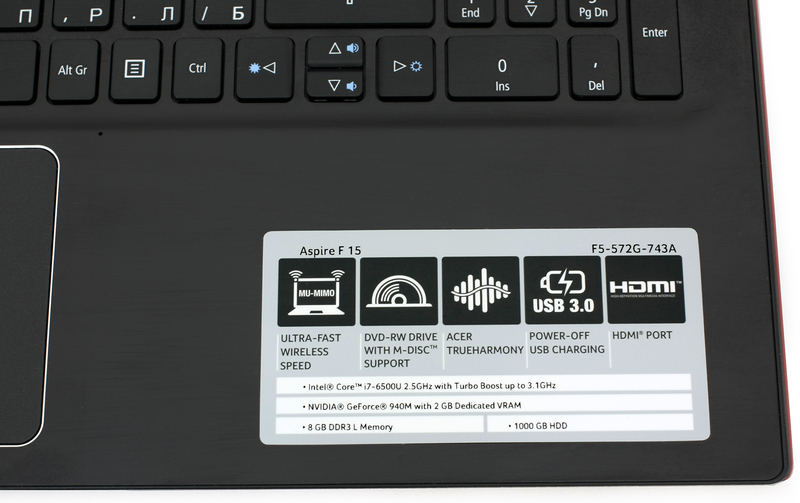 The unit is rated at 37Wh, which is normal given the price point of the machine but unlike other direct competitors, the Aspire F5-572G offers fairly powerful hardware, the GeForce 940M in particular, so it took a toll on the battery life. Still, web browsing and video playback runtimes were quite average. All tests were performed with the same settings as always – Wi-Fi turned on, power saver switched on and screen brightness set to 120 cd/m2. Expectedly average result from the Wi-Fi browsing test – 260 minutes (4 hours and 20 minutes). Slightly lower but still in the normal range – 245 minutes (4 hours and 5 minutes). The notebook isn’t intended for gaming, let alone away from the charger but we run this test for evaluation reasons and the result is 63 minutes (1 hour and 3 minutes) of play time. Intel Core i7-6500U is part of the Skylake generation of processors and it’s positioned in the the ULV lineup (ultra-low voltage), with a 14nm FinFET manufacturing process. It has two cores that support Hyper-Threading technology, resulting in up to 4 threads. The chip is a direct successor to the Core i7-5500U Broadwell CPU – expecting slightly better performance with emphasis on the power efficiency features. The CPU is clocked at 2.5 GHz and can go up to 3.1 GHz for one active core or 3.0 GHz for two active cores. Also, the silicon includes an Intel HD Graphics 520 iGPU that sports 24 Execution Units ticking at 300 MHz and can go up to 1.05 GHz. The whole SoC supports DDR4-2133/DDR3L-1600 memory in a dual-channel array. So the whole chip is rated at 15W TDP including the memory controller and the integrated graphics, thus making it suitable for 11-inch notebooks or bigger. It also supports the cTDP down feature and the OEM can lower the TDP to 7.5W. Fritz is a chess benchmark that tests the computing capabilities of the CPU with various chess moves. 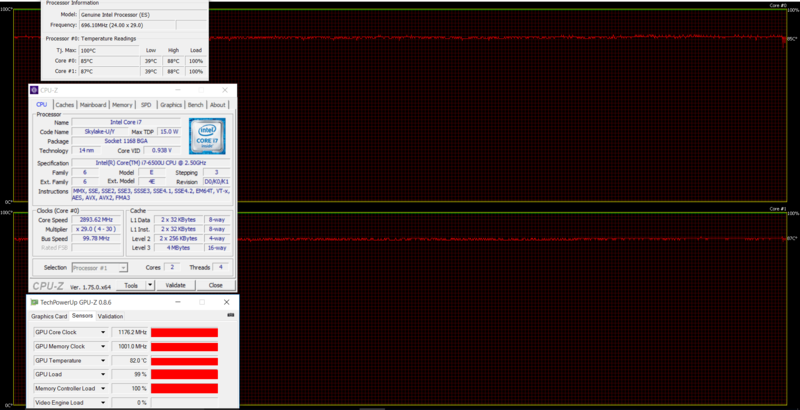 The Intel Core i7-6500U reached 5.984 million moves per second. By comparison, one of the most powerful chess computers ever, Deep(er) Blue, was able to squeeze out 200 million moves per second. In 1997 Deep(er) Blue even beat the famous Garry Kasparov with 3.5 to 2.5. The GeForce 940M is a direct successor to last year’s 840M and it’s placed in the mid-range class. It is commonly used as a multimedia GPU and light gaming. It’s very similar to its predecessor GeForce 840M, but it’s clocked slightly higher. GeForce 940M is Maxwell-based and uses GM108 chip. NVIDIA GeForce 940M is built by means of a 28nm manufacturing process and has 384 shader units, 24 TMUs and 8 ROPs (64-bit interface). It can be found in modifications with 2GB or 4GB DDR3 memory. This two-staged test isn’t exactly the best representation of a real-life usage but it gives us a good hint of how the system handles prolonged heavy workloads and how good is the cooling design in the long run. We kick things off with one-hour stress test on the CPU, which maintained low temperatures during the workload and even utilized the maximum operating frequency of the two active cores for most of the time. Nonetheless, the CPU started ticking at 2.9 GHz after a while, but it’s still in the Turbo Boost range and cannot be considered as throttling. 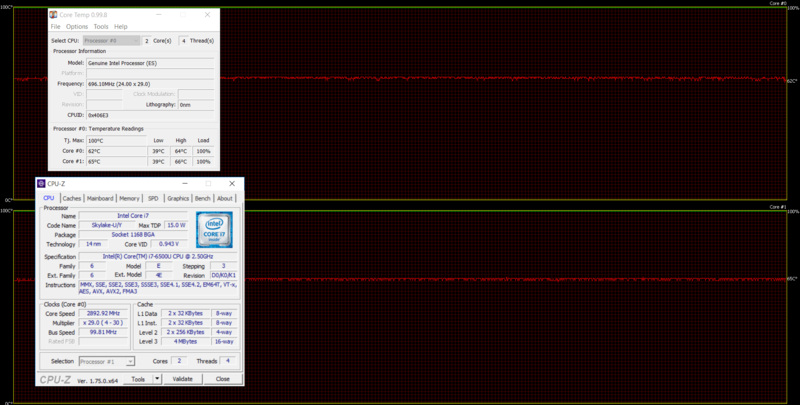 Frequencies remained rock-solid even after one hour of CPU stress test and one hour of GPU torture test. Both chips maintained relatively low temperatures, given the nature of the test. The test indicates good cooling capabilities even under extreme workload. The temperatures on the surface were also more than acceptable as you can see on the temperature map below. Hands down, the Acer Aspire F 15 is one of the best value notebooks in the lower-end of the market we’ve reviewed so far. It has a lot to offer and just a little trade-offs along the way. It has a nice design – maybe it won’t be suitable for some but it offers a fairly good amount of color palettes to choose from – with great choice of materials, especially the interior, which features brushed aluminum finish. 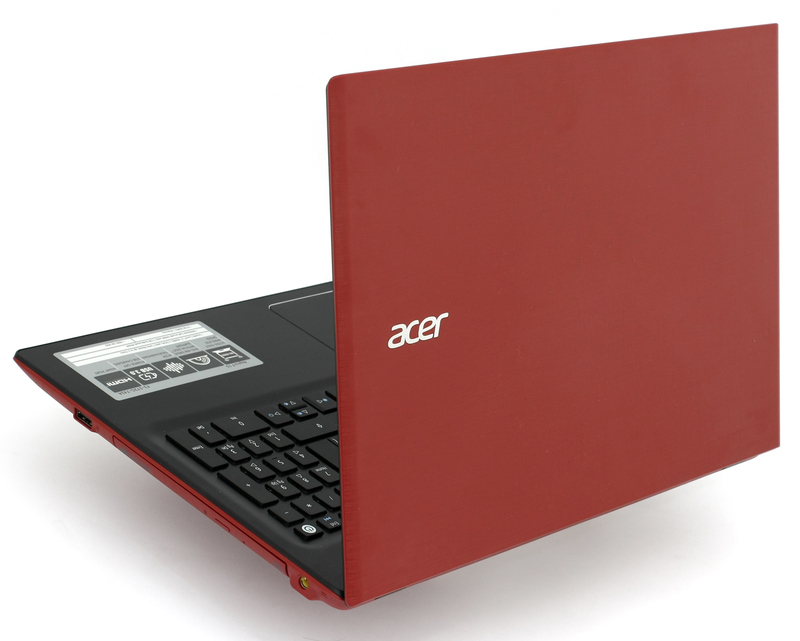 It is accompanied by one of the best in class keyboards and excellently performing big touchpad. Yes, it’s not one of the lightest or the slimmest notebooks on the market, but it’s a little sacrifice for a the decent hardware inside and the robust construction. It performed well in most of our tests with some little exceptions in the display and battery department. The latter isn’t too bad, to be honest, it’s just nothing more than average. Almost the same applies to the display as well – it has Full HD resolution but doesn’t hold an edge over its competitors when it comes to contrast, brightness and sRGB coverage. However, it’s important to note that the display doesn’t use PWM across almost all brightness levels, which is uncommon for notebooks with similar asking price. It gives you the advantage of browsing the web or simply working, without the unpleasant eye soreness at the end of your workday. 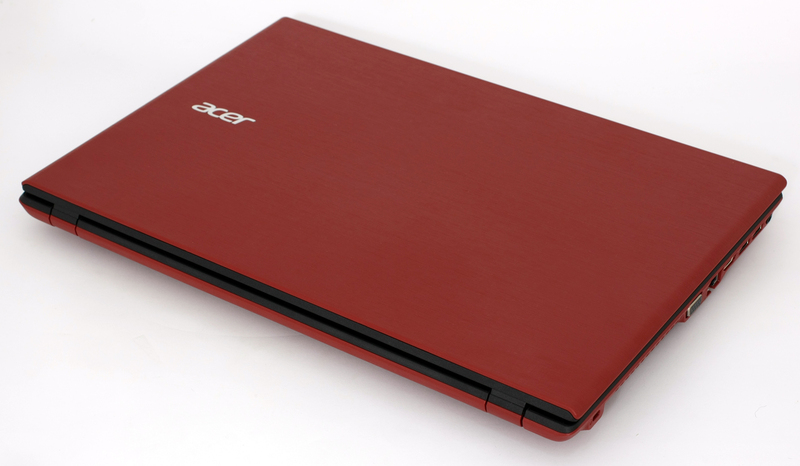 At the end of the day, the Acer Aspire F 15 (F5-572G) is a great all-rounder for the money with excellent price/performance ratio and it stands as a good budget alternative to the well-known Acer Aspire V15 (V3-575G) but with slightly downgraded chassis. Nonetheless, the hardware is mostly the same, hence the performance. I just bought this notebook. But cannot find the way to open de DVD reader. Does it include one? Cause I play the Sims and I need it. @iveigard Dude, WTF are you doing? That command deletes everything.